Coming into the season there was no doubt the Cavs would be the frontrunner in the Eastern Conference. Even with the injuries to Kyrie Irving and Iman Shumpert the talent level on the roster is unmatched by any team in the East. However, there were questions about how Kevin Love would come back, LeBron James’ back issues were another factor to be wary of, and how well would Mo Williams and J.R. Smith fill the void until Irving and Shumpert returned? The Cavs hot start is definitely something to get excited over, but before we assume Cleveland is going to continue to play at this pace, let’s put things in perspective and analyze the quality of opponents these six wins have come against. The Cavs have won five games against teams who did not make the playoffs last season. All of those five teams play in a relatively weak Eastern Conference. Certainly we all can agree that the Philadelphia 76ers (0-6) are no world beaters, yet both games the Cavs came out slow and turned it on in the second half to get the win. So two wins against the Sixers… Not anything to write home about. Although the Miami Heat did not make the playoffs last year, they are a much better team this season with a healthy Chris Bosh, Dwyane Wade, and a fully-loaded roster with some premier talent. The win against the Heat is one of their more impressive of the season so far. The win against the New York Knicks at the home opener is somewhere in between the difficulty level of the Sixers and Heat. Last year, the Knicks won 17 games. This year however, they are off to a solid start, with three wins and four losses. The Knicks might be much improved from last year, but how much of a test was that game for LeBron and company? The fifth win against an Eastern Conference opponent came Sunday night against Indiana. The Pacers were fresh off of winning three games in a row, and the return of Paul George makes them a much better team, but that game still had no business being as close as it was. So, two nailbiter wins against Indy and Philly, a couple more wins against teams that were sub .500 last season, surely there is at least one impressive win out of the 6-1 stretch? That’s where the Memphis Grizzlies win comes in to play. The 106-76 beatdown the Cavs gave to Memphis at the Grindhouse in their home opener was without a doubt the most impressive victory thus far for Cleveland. 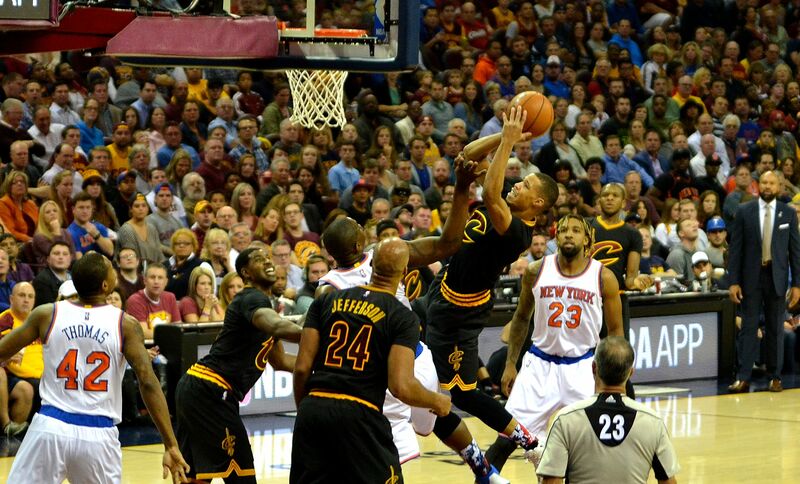 From start to finish, the Cavs were in control and never took their foot off the gas pedal. Memphis has been a perennial playoff team for years now, and last season the Grizzlies were 55-27, the fifth-seed in a loaded Western Conference. This year, however, the Grizzlies are 3-4, off to a slow start. Of course it is early in the season, but maybe the Grizzlies run of five consecutive playoff appearances is reaching its end. None of this is to say that we should be unhappy about the 6-1 start. It’s a sign that the Cavaliers are beating the teams they are supposed to beat. It does give reason, though, to not be blown away by the record. On the flip side, the Cavs only loss of the season up to this point, came against the Chicago Bulls, who are 4-3, and made the playoffs last year.